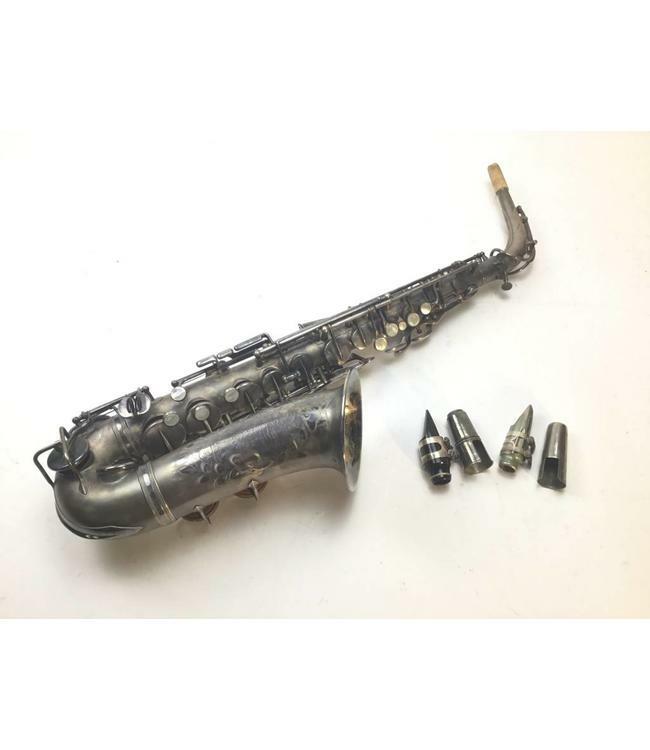 Used Selmer “Radio Improved” alto saxophone. Silver body and keys. Plays well with a beautiful tone and will play even better once repadded. Includes 2 mouthpieces and case.